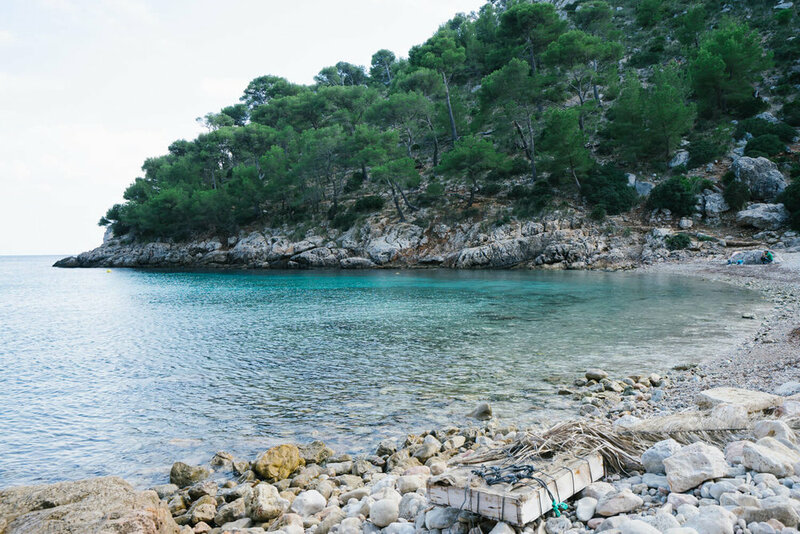 In the northern part of Mallorca, and accessible only by foot or boat, there lies a hidden cove, at the end of a mellow hike. 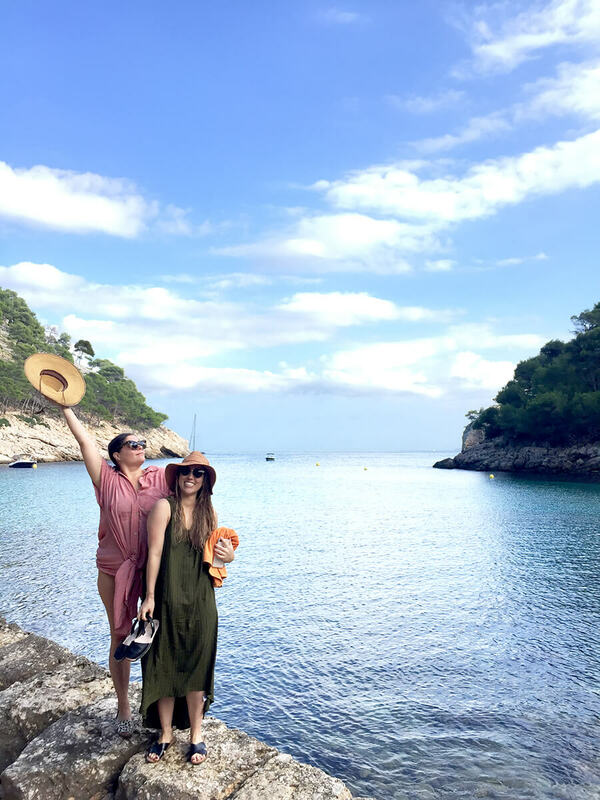 The place is protected from the open sea, as it is inside the Bay of Pollença, so when the weather is rough on the other coast, it usually enjoys calm waters. He finishes baking the dish, and we sit at the long table, with Tomeu at its head. He is our master of ceremonies, our host and our guest all at the same time, and we feel so lucky to have this enchanting character all to ourselves tonight.